Hi readers! I missed you… I have been thinking about you a lot! First, APOLOGIES for disappearing from Bon Appét’Eat. I started preparing a post where I explained my choice and I will be back to share it. Second, THANK YOU for coming back and visiting my blog! Just like that I am back… Let’s look natural and squeeze in a little article about St Patrick’s Day. 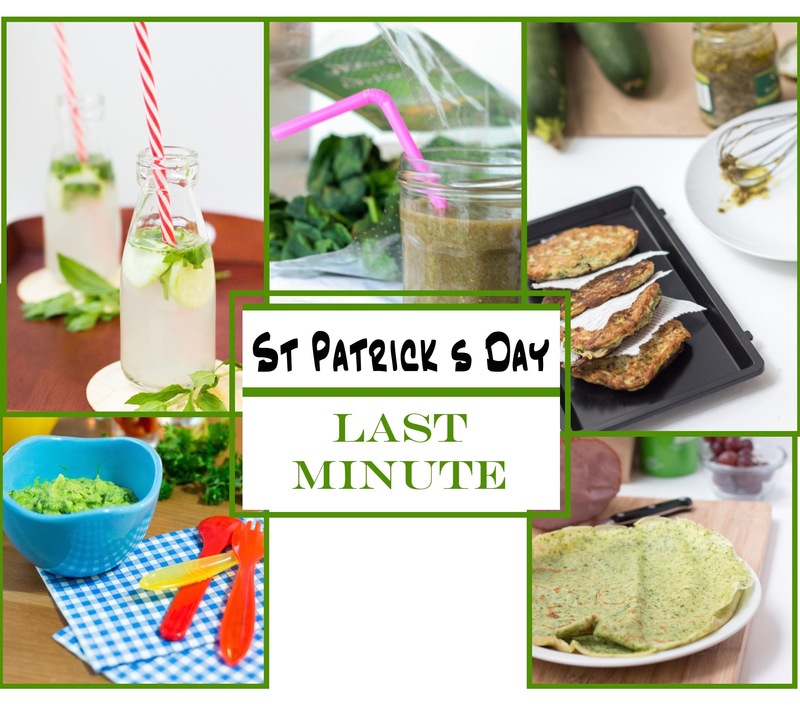 Give you some inspiration with quick and easy ideas to be green on March 17th! Just like that… after a 6-month blog hiatus, I am throwing 5 recipes already published on my blog. Because you know, these recipes are for you to enjoy and you might need a little reminder because I have not been the blogger of the year. But I’ll chat to you about that, you deserve an explanation! Last minute? Tell me about it! I don’t particularly go all green on St Pat’s but kids do wear the Irish color on that day. So I guess I could play along virtually and suggest a few recipes! 1. 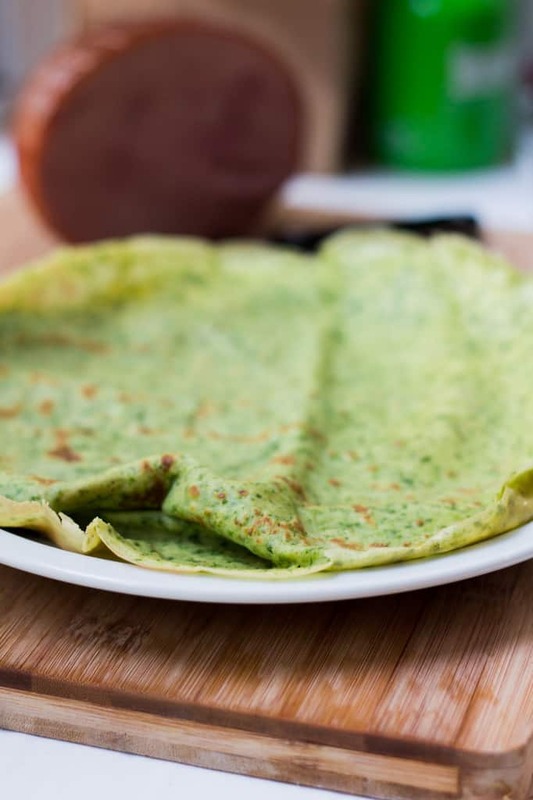 French savory spinach Crêpes: Must admit, nothing Irish about that one besides the color for the D-day. Can you blame me? Can you resist a French crêpes? Also, allow to give all the credit to my son who was then 4. He asked me to put Spinach in his batter as it is “good for your health and Popeye loved spinach”. My little superhero is such a foodie! 2. 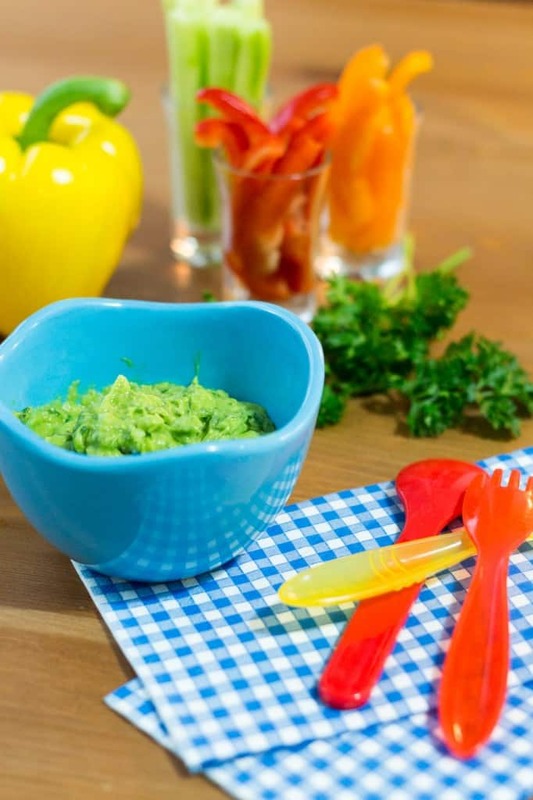 Avocado dip: Get your little to work and prepare something green. Let them mash those ripe avocados and they will love to eat what they prepared. Of course, grown-ups will love it too! 3. Zucchini pesto fritters: Last minute pot luck? No problem! You can put together some nice vegetarian fritters in no time. The pesto and zucchini marry their greens for great flavors and taste. You can have the leftovers for work or for the kids lunch at camp. Lightly fried in a pan, it gives you the perfect crunch! EAT SOME! 4. Green smoothie: Also very appropriate to boost your body and fight all the germs around with this extra weird winter. Or end of winter I shall say. Yeah! It is not cold at all, you might be fighting one of those bad cold that have been spreading around. 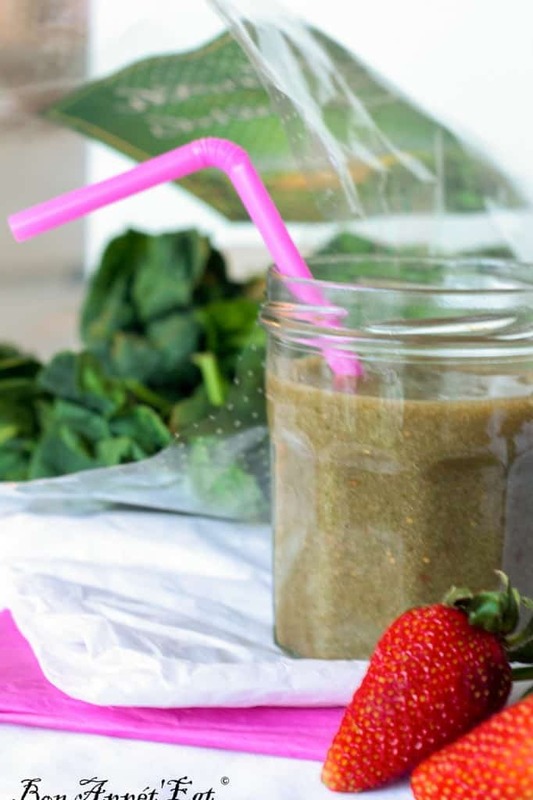 Although, I don’t need to sneak veggies for my kids, this green smoothie might be the answer for yours. 5. 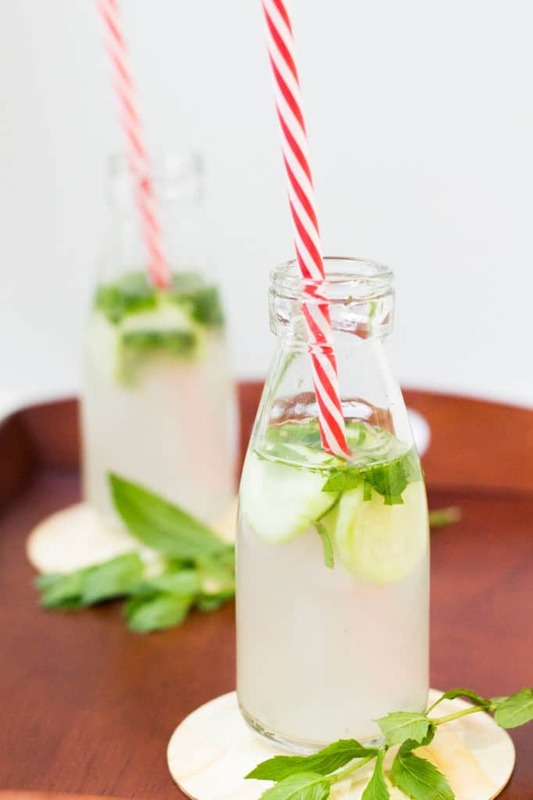 The benefits of cucumber-lime-mint water: That might not be the season to pick it up in your garden but nonetheless, THIS is the answer to March 18 hangover! Drink lots of it, it is what your body is craving for. Whatever you do for St Patrick’s Day, have fun, enjoy but most of all be safe! Green food is the best! I find I go through color phases where I only eat certain color foods. Weird! That avocado dip just went to the top of the list.